Summer’s here and has brought with it all sorts of fêtes and festivals to our part of town. We’re keen to talk to as many people in our area as we can so we thought we’d go along to the Plumstead Make Merry. 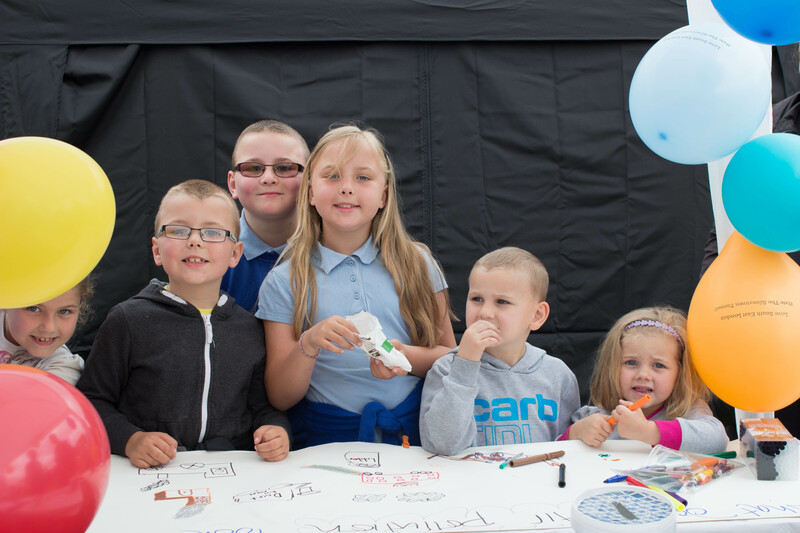 The Make Merry’s a fabulous community event – all kinds of people are represented, from political parties to local companies, to groups like us – 7,000 people turned up to have a look around, have their face painted, hook a penguin or listen to the bands. Things did not get off to a very auspicious start: it was raining stair-rods as we turned up to put our stall up and we trudged about trying to put our balloons, badges and leaflets in order. The weather is obviously on Plumstead’s side, though, and just as the fête opened to the public the sun broke through and it was wonderful for the rest of the day. 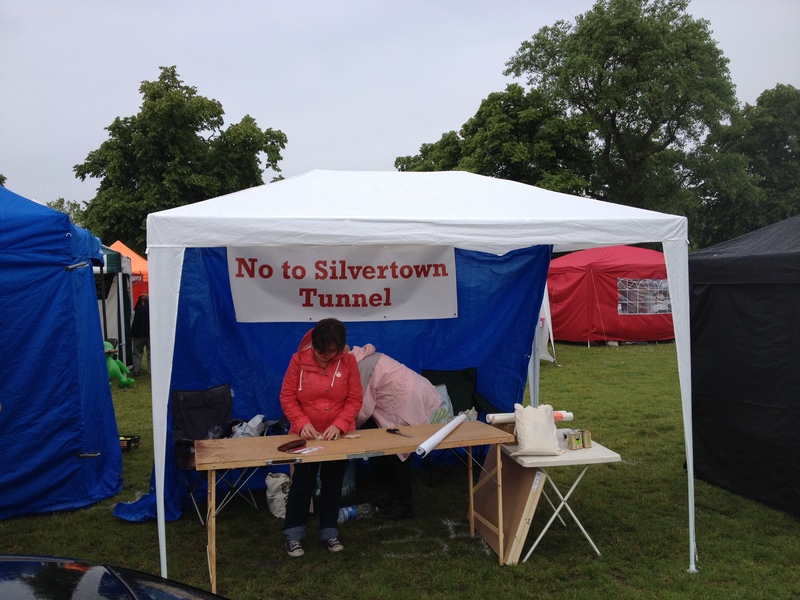 Meanwhile we spoke to their parents about our concerns about the Silvertown Tunnel. Time and again we were telling people about plans they knew nothing about. We’re not really surprised – this has been our experience so far when talking to people round and about – but we are concerned. 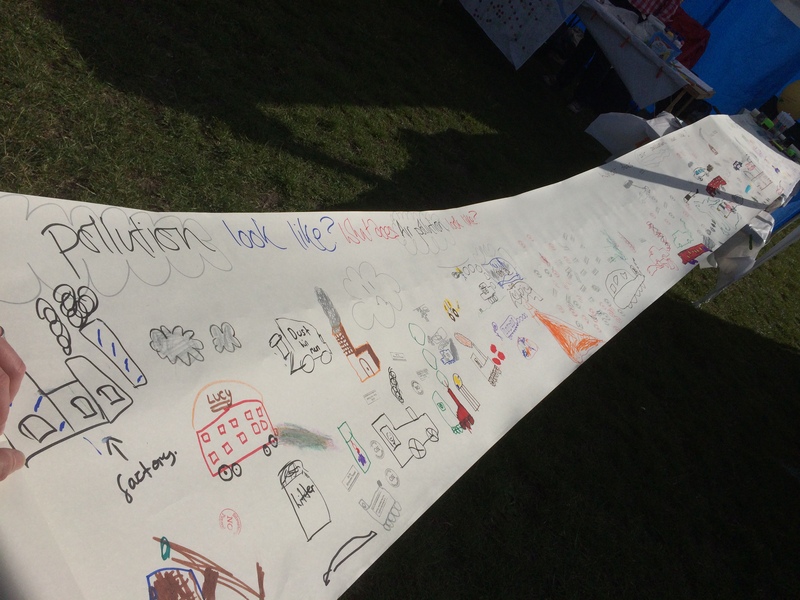 We know the public won’t have much time to consider the proposals when the consultation on the development starts later in the year, so we need to keep putting our message out. 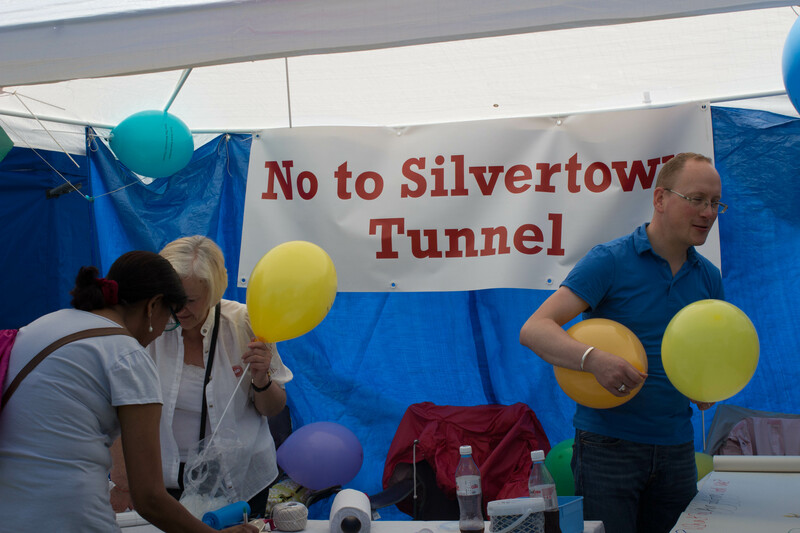 We handed out our No to Silvertown Tunnel badges – this season’s must-have accessory – to as many people as we could, and we hope they find as many chances to wear them as they can. 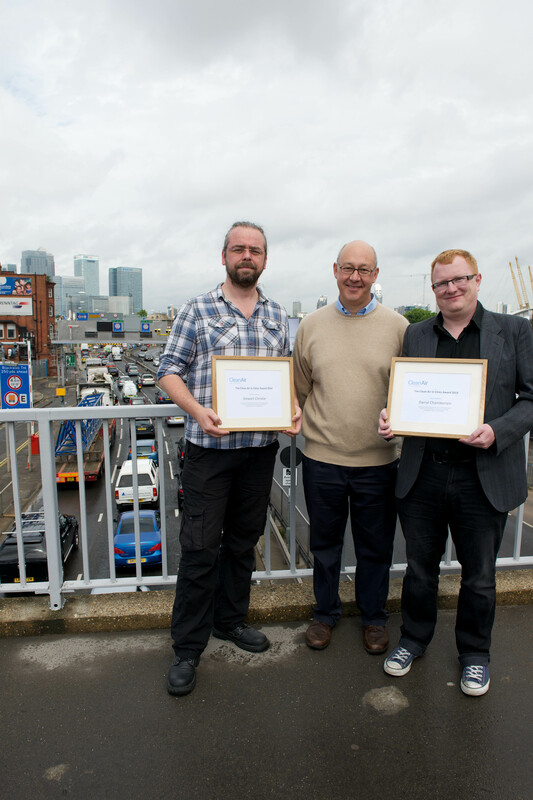 Our stall wasn’t the only thing happening last Saturday: Darryl Chamberlain and Stewart Christie of our committee were presented with Clean Air in Cities Awards for 2014 by Simon Birkett, the Director of Clean Air in London to recognise their contribution to improving air quality in London. It’s always good to see hard work rewarded – well done, Darryl and Stewart! 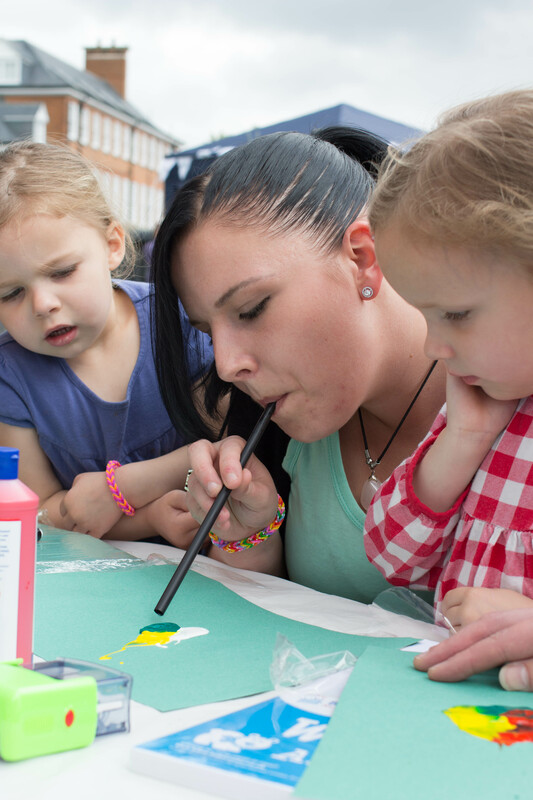 We’ll be out and about again over the summer: you can find us next at Lewisham’s People Day on 12th July 2014. 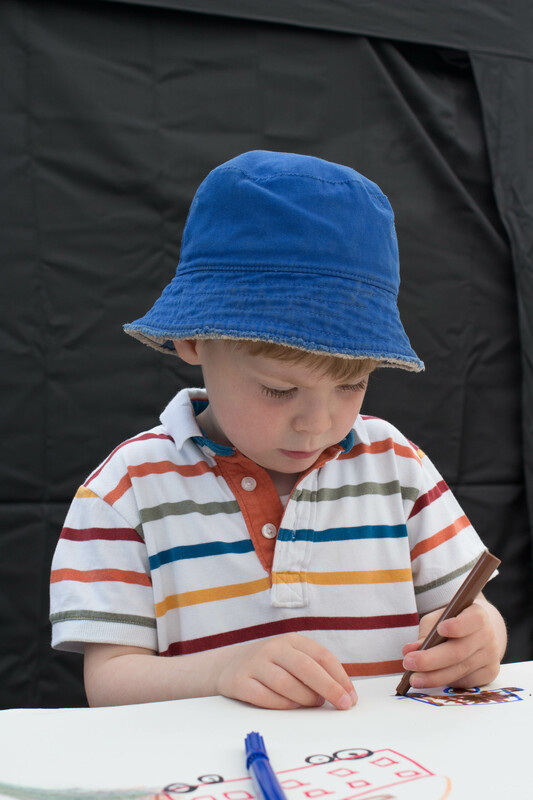 Come down and join in the fun – we hope to see you there! This entry was posted in Uncategorized on June 18, 2014 by Nikki Coates. Just a quick question. Which creates more pollution in given area, a vehicle sitting in a traffic jam with its engine running or a vehicle passing through that area without experiencing congestion?